Small business owner Jim Moseley is inundated with calls from online funders—and he hates it. They frequently use unscrupulous tactics to try and get his attention. More than one has claimed to be a close friend so his assistant transfers their call. Then they try to reel him in with stories they’ve concocted about past personal connections. The unprofessional-sounding calls also irk him—where a salesman insists he’s local, but his voice sounds muffled and distant. In these instances, Moseley usually hangs up within a few seconds. “The layer of sleaze is as thick as lard in the calls that I get,” he says. Like many small business owners, Moseley, the chief executive of TransGuardian Inc., a shipping solutions company based in Petersham, Massachusetts, finds these types of calls extremely off-putting. In fact, it’s what made him hesitant to do online funding to begin with—until it became absolutely necessary since he couldn’t get a bank loan. He’s not alone. As online financing proliferates, several small business owners say they are increasingly being bombarded with stacks of snail mail, multiple cold calls a day and numerous unsolicited emails offers—many of which they don’t understand and therefore won’t accept. Rather, small business owners say they prefer to work with companies that are forthcoming, provide sound advice and have taken steps to prove their credibility. They offer several tips on how funders can win more of their business. Several small business owners say they don’t mind when lenders follow up with them after a legitimate interaction. But they could do without the boiler-room tactics. “It feels like a loan shark situation,” says Sean Riley, co-founder of DUDE Wipes, a Chicago-based company that makes flushable wipes for men. Riley, who has several good experience obtaining loans through Kabbage, finds the constant phone calls from firms he doesn’t know particularly vexing. He suggests lenders drop the high-pressure routines and find more effective ways to promote their services to small businesses. “These companies could be very credible. I don’t know. But I don’t perceive them as credible—and perception is reality,” he says. Donna Cravotta chief executive and founder of Social Pivot PR, a Bedford, New York social media and marketing communications firm, says online funders should seek out simple, cost-effective ways to get their name in front of small businesses. For relatively little money they can sponsor local small business events. She also suggests that online lenders volunteer to speak at small business events and teach small businesses how to leverage online lending opportunities. They could also appear as guests on financial podcasts or broadcast Webinars to the small business community, says Cravotta, who has taken a few loans to fund her business, two of which were with Lending Club. R.T. Custer, co-founder and chief executive of Vortic Watch Company in Fort Collins, Colorado, offers some additional advice: Customers don’t believe when you self-publish your testimonials. When he sees a review on a website, he wants to know how much a company has paid for that review. Instead, he relies on third party confirmations of a company’s worth. “When it’s clearly something that is not paid for, that is the best kind of advertising,” says Custer, an OnDeck customer whose business turns antique pocket watchers into wrist watches. As much as they hate aggressive salespeople, small businesses love personal attention from their lenders. Dana Donofree, founder and chief executive of AnaOno Intimates, a Philadelphia-based company that designs and sells apparel for breast cancer survivors, appreciates the stellar customer service she gets with OnDeck. The sales rep follows up appropriately to make sure everything is going well, but doesn’t bombard her constantly. She gets an occasional email asking if she needs more funds—but the communications aren’t overly aggressive. “Some institutions can really be sales pushy and call you several times a day. I’ve blocked more numbers than I would like to admit,” she says. Online lenders can also gain traction by helping customers better understand the financing process; many small business owners often don’t know much about financing and would appreciate getting sound advice from lenders, according to Sandy Lieberman, who co-owns Artemis Defense Institute in Lake Forest, California. She and her husband started the business a few years ago to offer reality-based training to law enforcement, military personnel and civilians. When the business needed cash, Lieberman began searching online for a bank loan, but wound up taking a merchant cash advance instead. After a few rounds, she started getting bombarded with solicitations. “I think the stacks of mailings from companies must have been four-inches thick,” she recalls. After additional research, she reached out to Lendio to broker an $85,000 term loan; she later took another loan for $204,000 through Lendio. While these funds have brought her business to a better place—and she has learned a lot in the process—she feels online lenders are missing out on a prime teaching opportunity. “Some lenders think business owners know more than they already do. Some really don’t know a lot and could use more hand-holding,” she says. In hindsight, Lieberman—who nearly destroyed her personal credit while trying to run her business—wishes a funding company had offered her a short class on financing; she would have attended, even for a small cost. Access to a finance coach—someone at the lending company who could help business owners plan proactively without ruining their personal credit—would also be a boon, she says. “Small business owners are wearing many hats—customer service, payroll, financing, strategic planning. In the midst of all that they don’t know necessarily know how to make wise funding decisions,” she says. There are plenty of small businesses that need funds, but many simply don’t know where to turn. Consider a TD Bank survey of 553 small business owners in late March that found 21 percent have or will seek a loan or line of credit in the next 12 months. While the majority of these businesses plan to try their bank first, a sizeable number—11 percent—don’t know how to seek credit when they are ready. While many small businesses have found lending partners by Googling for information, others simply feel stymied by the process. Take the case of Scott Deuty, who is having trouble obtains funds for Coolbular Inc. in Cheyenne, Wyoming, which serves as an umbrella for his kiddie ride business and his writing and publishing services. He wants to raise funds but has bad credit and doesn’t meet the revenue requirements for certain lenders. There are so many lenders; he doesn’t know how to find the right one—or one that might be willing to take a chance on him. “It’s very difficult,” he says. Deuty’s case is an example of the paralysis that can happen when small businesses don’t know where to turn. It’s an opportunity for alternative funders to gain a leg up by marketing more appropriately to small businesses that may not know they exist—or how to find them. Custer, of Vortic Watch, reached out to OnDeck for a bridge loan after seeing a television ad that ran during an episode of Shark Tank. He also suggests funders use online advertising to gain broader exposure. “If a business owner is trying to find a loan, they are going to Google, ‘I need a loan,’” he says. Another way small businesses hear about lending opportunities is through business referrals. Azhar Mirza, founder of SomaStream Interactive, an e-learning solutions provider in Berkeley, California, says funders should actively seek out more referral partnerships. In 2015, his company couldn’t afford its online marketing costs. Then a lifeline came its way. Mirza received an offer from Google telling him his company was eligible for a loan to help finance the online advertising it was doing through the Google AdWords program. The offer was part of a new pilot program between Google and Lending Club to extend credit to smaller companies that use Google’s business services. SomaStream got access to the funds it needed, but in lieu of cash, the company received advertising credits with Google. 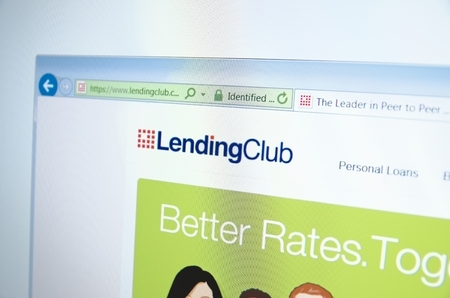 The pilot program between Google and Lending Club ended in the first quarter of 2016, but Mirza believes similar partnerships would be a great tool for online lenders. Certainly for Mirza, the timing was precipitous, he says. Push notifications from trusted business partners can also be an effective marketing tool, when used in moderation. When Yvonne Denman-Johnson, co-founder of HootBooth Photo Booth, a Lago Vista, Texas, manufacturer of photo booth kiosks, needed money, she happened to receive a notice from Shopify, the company’s e-commerce software and hosting provider, talking about its merchant cash advance services. She has one outstanding advance through Shopify, which she is working to pay off. Denman-Johnson got the funds she needed, but she feels MCA providers need to be more transparent about the effective interest rate—at the advertising stage, not at the approval stage—so small businesses can make more informed decisions without having to do all the calculations themselves. Otherwise, some small businesses might decide not to pursue this form of funding because of the unknowns. Her company almost walked away, but decided to go through the full application process. At this point, Shopify provided the effective interest rate, which was in the 12 percent range. Other funders she researched were in the 30 percent range—which she describes as “outrageously” expensive. Indeed, small business owners want to work with funders that outline the terms clearly and offer comparisons. 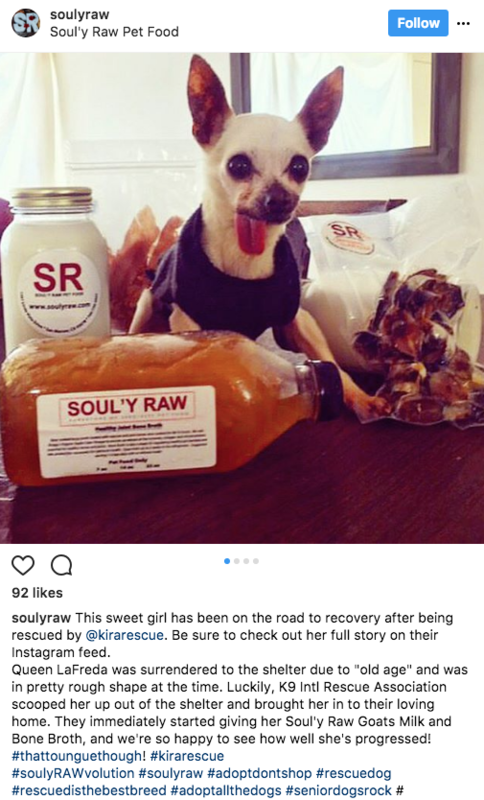 Lisa Ayotte, founder of Soul’y Raw, a specialty pet food provider in San Marcos, California, has had good experiences with Kabbage, On Deck and Fundbox. She wishes, however, that all online lenders offer more detailed information about the loan programs they offer on their website—so small businesses can weigh their options before they go through the actual application process. Small businesses want to know, for instance, whether a lender offers debt consolidation. They also want funds to spell out clearly on their websites the various types of loans offered and the underwriting criteria. Ayotte also suggests lenders provide links to online loan calculators so small businesses can understand what the terms mean to them. Small business owners want to be told like it is. That’s one major appeal of online lending—if you’re going to be turned down, you typically know right away says Ricardo Picon, the co-owner of The Sandwich Shop, a restaurant and catering business in Williamsburg, New York. He took an $88,000 loan in February issued by Excelsior Growth Fund, a U.S. Treasury-certified Community Development Financial Institution, but in the future, he says he would consider using a different type of online lender. It would depend on the rates, the economic times, monthly payments and closing fees, among other things. “I want transparency. I want to know if they are going to give me the money or not so I can move on. This way there are no false hopes,” he says. Small business owners also prefer to work with online lenders that make the process seamless. AJ Saleem, founder of Suprex Learning, a Houston-based private tutoring and test prep company, was proactive about searching for online lending options. He chose a loan with Lending Club in part because the process was so easy. Some applications he started, but never finished because the process was too onerous. With Lending Club, the process was quick, there were fewer questions asked and the funder asked for less documentation than some competitors, Saleem says.